Nowadays more and more people buy high-end cameras to take photos and record HD videos, Canon DSLR is a good choice. Canon cameras are very popular in the market, like EOS 50D, 60D, 5D Mark II, etc. it’s wonderful for users to take high quality images when they go travel or commute. You may have got a canon camera, do you often use its recording function? Now canon DSLR supports MOV 1080P recording, you can take vivid videos in holidays, weekends, etc. You may need to edit the Canon DSLR recorded videos in Final Cut Pro X on Mac before sharing with others. But, as we know, canon recorded videos are in H.264 MOV format, the H.264 codec is not good for FCP X editing, it takes long time to render, and you can’t edit the H.264 videos smoothly in FCP X. How to import and edit canon videos in FCP X smoothly? The best way is to use a canon H.264 MOV converter to transcode H.264 MOV footages to Apple ProRes 422 codec MOV format, as it’s best supported by FCP X. Pavtube’s Canon MOV to FCP X Converter can help you convert H.264 MOV to Apple ProRes 422 for FCP X with good quality, below is a guide for you, you can follow the easy steps to convert canon DSLR cameras to FCP X for editing. Cameras supported: Canon EOS 7D, Canon EOS 5D mark iii, Canon EOS 5D mark ii, Canon EOS 1D mark iv, Canon EOS 50D, Canon EOS 60D, etc. 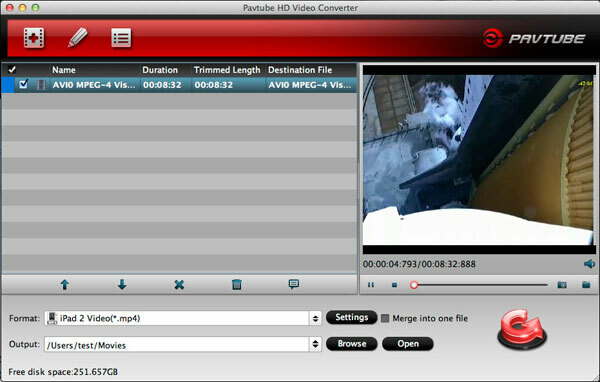 Step 1: Download Pavtube HD Video Converter for Mac, it’s excellent Canon video converter which can convert nearly all canon cameras’ videos to any formats you need, such as Apple Prores 422 MOV, Apple InterMediate Codec MOV, QuickTime MOV, etc. 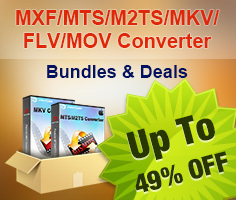 Step 2: install this canon MOV to FCP X converter, import canon recorded videos to the converter. 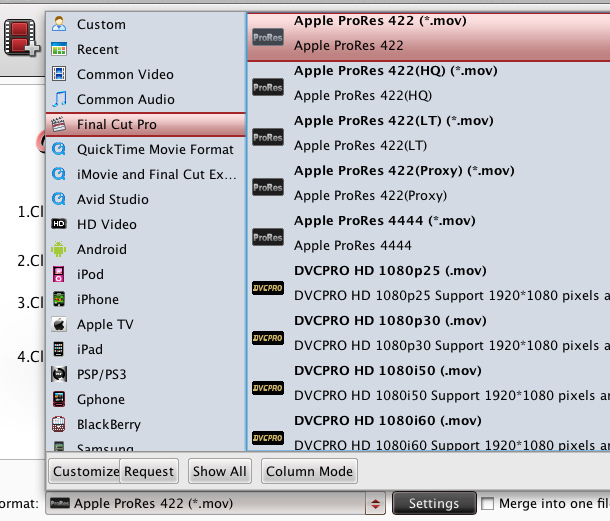 Step 3: click format bar to choose output format for use in FCP X. click and choose Final Cut Pro -> Apple ProRes 422 (*.mov). Step 4: you can click settings button to adjust resolution, frame, etc. Step 5: Click convert button in the main interface to start transcoding Canon MOV to FCP X. With this Canon H.264 MOV Converter, you can easily convert canon EOS 7D to FCP X, Canon 5D Mark III to FCP X, Canon 5D Mark II to FCP X, Canon 1D Mark IV to to FCP X, Canon EOS 50D/60D to FCP X, etc. Just follow the steps above and have a try.